Colorado Gov. John Hickenlooper suggested this morning on "This Week" that even if Aurora shooting suspect James Holmes did not have access to guns, he would have found a way to create "horror." "This wasn't a Colorado problem. 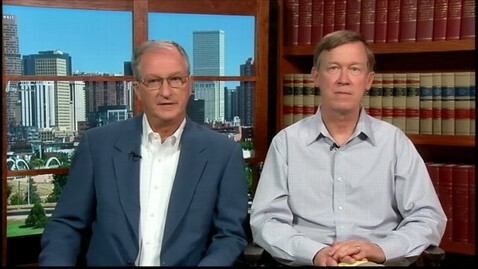 This is a human problem," Hickenlooper said. "Even if he didn't have access to guns, this guy was diabolical…he would have found explosives. He would have found something…he would have done something to create this horror." I also spoke with the mayor of Aurora Steve Hogan, who said Holmes appeared "normal." "He just by every standard appeared normal," said Hogan. "He did have friends. He had made connections. He had people he went drinking with on Friday nights." On Friday, 24-year-old James Holmes allegedly entered a movie theater in Aurora, Colo. during a midnight showing of "The Dark Knight Rises" and opened fire, killing 12 people and injuring dozens more. The incident is the largest mass shooting in American history.